E-mail written 22 Jul 2013 to Warren Culpepper from Robert Lee O'Neal Jr. (#64200), e-mail address. E-mail written 3 Aug 2013 to Warren Culpepper from Caren Elizabeth Culpepper Thomas (#6833), e-mail address. Courier of Montgomery County, Texas, Houston,Texas. Obituary of Clarence Culpepper (#54347), published 27 Aug 2013 in Courier of Montgomery Co. (TX). Obituary* 22 Jun 2013� Mr. Rodney Wayne Culpepper, 66, of Chunchula died June 20, 2013 at his residence. He served in the United States Army during the Vietnam War. He worked for Peavy Construction and member of Georgetown Chunchula Methodist Church. Mr. Culpepper was preceded in death by his parents, Joseph Rodney Culpepper and Bessie Mae Merritt Culpepper; grandson, Mark Watkins. He is survived by his loving wife, Regina Culpepper; sons, Rickey Manning, Tim (Anna) Manning, Eric Culpepper and Keith (Crystal) Culpepper; daughters, Kimberly (Frank) Normand and Cantrece Caine; sister, Cathy (Ray) Davis; twenty grandchildren, Cara Williams, Brittany Watkins, Amanda Watkins, Brittany Goodman, Alex Normand, Tiffany Jarvis, Justin Green, Scott Goodman, Megan Manning, Tyler Manning, Morgan Manning, Timothy Manning, Ryan Green, Devin Culpepper, Zackery Goodman, Dewey Manning III, Braxton Bragg, Donavan Rooney, Courtney Manning and Kaylee Culpepper; seven great grandchildren, Madilyn, Bryce, Hayden, Colton, Audrey, Ellie-Kate and Xavier Jarvis; other relatives and friends. Bessie Mae Culpepper, 13 Nov 1922 - 16 Jan 1999, Buried at Shiloh Cemetery, Deer Park, Washington Co., Alabama. Find A Grave Memorial# 66633824. Deer Park, Washington Co., AL: Bessie Mae Merritt, age 17, born in MS, d/o Earnest and Sally. E-mail written Aug 2014 to Lew Griffin from Brian Keith Culpepper (ID: 644209), e-mail address. Obituary* 15 Aug 2013� Margaret Christine Culpepper, 81, died Tuesday, August 13, 2013. Born in Greenville, she was the daughter of the late John Henry and Maude League Wilson. Mrs. Culpepper was a retired seamstress and member of Tremont Church of God. Surviving is a niece, Becky Wilson Wall. 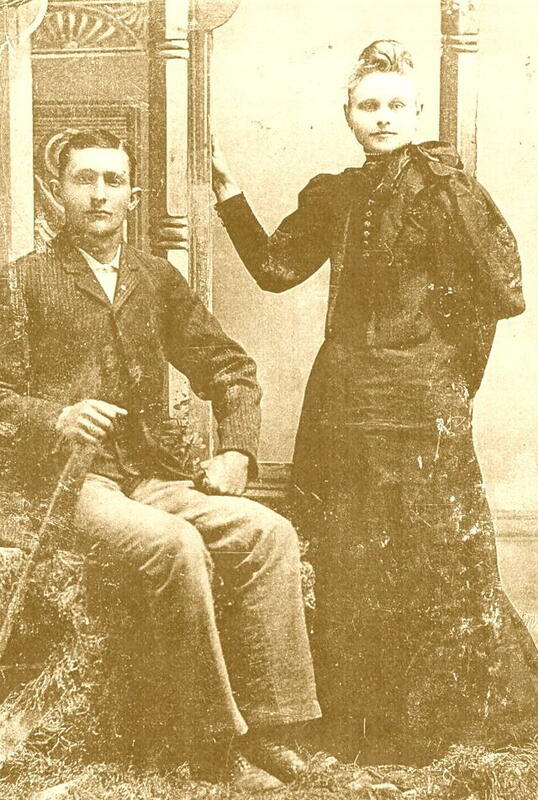 In addition to her parents, she was preceded in death by her first husband George R. Dill; her second husband, Clarence L. Culpepper; and brother, Johnny M. Wilson. The funeral service will be held Thursday, August 15, 2013 at 1:30 p.m. in the chapel of Thomas McAfee Funeral Home, Downtown. Burial will follow in Woodlawn Memorial Park. The Greenville News, Greenville, SC. Obituary of Margaret Christine Wilson Culpepper (#64210), published on August 15, 2013. Find A Grave Memorial# 21462722. E-mail written Feb 2011 to Warren Culpepper from Margaret Hooper Gormly (#9917), e-mail address (Sep 2013). E-mail written 2006-2013 to Warren Culpepper from David Eugene Culpepper (#52882), Hood River, Oregon, e-mail address (Sep 2013). E-mail written 5 Feb 2013 to Warren L. Culpepper from James Henry Culpepper IV (#38826), e-mail address. Obituary of Twila Gay Green Culpepper (#6434), Published Oct. 9, 2013. E-mail written 2002-2017 to Culpepper Connections from Patricia Lynn Culpepper Downer (#44873), e-mail address (Jan 2017). E-mail written 11 Oct 2013 to Warren Culpepper from Justin Evan Culpepper (#4383), e-mail address. Obituary of Beverly Jane Culpepper (#53128), published on 12 Oct 2013. Europe: Royal and Noble Houses of Europe. [S189] #243 [2nd ed. 1844, reprint 1977] A Genealogical and Heraldic History of the Extinct and Dormant Baronetcies of England, Ireland, and Scotland (second edition, 1841, reprint 1977), Burke, John and John Bernard Burke, (Second edition, 1844. London: John Russell Smith, 4, Old Compton Street, Soho Square Reprint, Baltimore: Genealogical Publishing, 1977), FHL book 942 D22bu 1977; FHL microfilm 994,038 ite., p. 482. [S151] #623 The Visitation of Norfolk in the Year 1563 (1878-1895), Taken by Harvey, William, Clarenceux King of Arms and Edited by The Rev. G. H. Dashwood, F.S.A. and continued by Captain W. E. G. L Bulwer, G. A. Carthew, Esq., F. S. A., Rev. W. Grigson, M. A., Rev. Augustus Jessopp, D. D., (2 volumes. Norwich: [s.n. ], 1878-1895 Printed by Miller and Leavins), FHL book 942.61 D23ha; FHL microfilm 990,432 items., vol. 1 p. 63. E-mail written Oct 2013 to Lew Griffin from Susan Newton, e-mail address. Susan has 31 Dec 1867. Birth place: Harrison Co., Txs. Father birth place: Memphis, Tenn.
E-mail written Jan 2014 to Warren L. Culpepper from Tresea Yvonne Culpepper Folse Woodman, e-mail address.